China are set to be boosted by the return of Wu Lei for Sunday's clash with Thailand on Sunday, as they aim to win a knockout fixture at the Asian Cup for the first time since 2004. Marcello Lippi's China finished second in Group C after losing 2-0 to South Korea on Wednesday, a game Wu Lei - who had scored twice in the 3-0 triumph over the Philippines in their previous outing - missed due to a shoulder injury. However, the Shanghai SIPG forward is fit to feature in the last-16 tie at Hazza Bin Zayed Stadium, according to his national team boss. 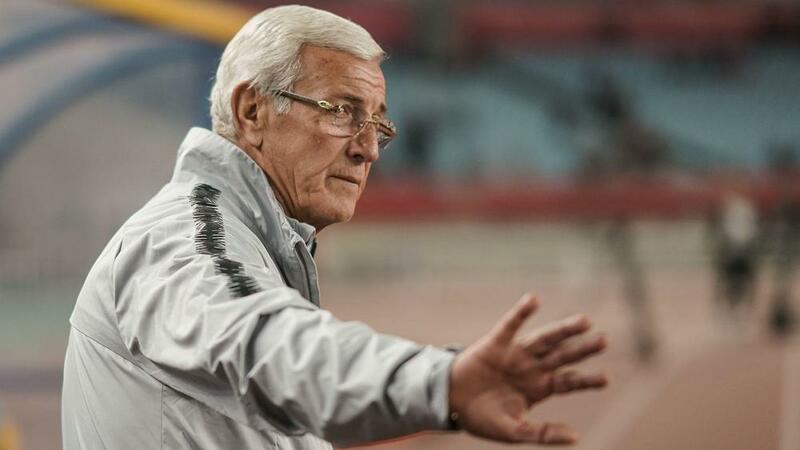 While admitting some of his squad are "not 100 per cent" ahead of the game, Lippi is hopeful they can find a way to make it through to the last eight in the United Arab Emirates. "He can play in tomorrow's match," the Italian told the media when asked about Wu Lei's availability. "We have a few players who are not 100 per cent in the best condition, but we will check in training to see if they are going well. "We're ready and we'll do our best to achieve the result we want so we can get to the quarter-finals." Wui Lei was the key man in the last meeting of the nations, scoring both goals as China triumphed 2-0 in a friendly fixture in Bangkok last June. However, Thailand will hope to make the most of their progression from Group A, having finished second behind host nation UAE. They have not made it to the knockout stages since finishing third in 1972, with a change of coach after an opening loss to India working wonders for the War Elephants. Thailand sacked Milovan Rajevac after the 4-1 result and interim boss Sirisak Yodyardthai quickly turned around their fortunes, picking up four points from the next two fixtures to go through. "Since my appointment, what I've tried to do is inject some positivity into the squad as well as freedom and creativity so the players can express themselves to their full potential," Sirisak said. They are without Sanrawat Dechmitr for the game with China, as the midfielder has been ruled out for the rest of the tournament due to a back injury. Prolific for his club side in the Chinese Super League - he finished as the competition's top scorer with 27 goals in the 2018 season - the striker's availability is a huge boost for China, who lost to eventual winners Australia in the quarter-finals four years ago. A regular starter in Thailand's midfield so far in the Asian Cup, the 25-year-old capitalised on some poor defending to grab his country's equaliser against UAE. They will hope he can do the same again to extend their involvement in the competition beyond the weekend. - Thailand and China drew their only previous meeting at the Asian Cup – a 0-0 stalemate during the 1992 group stages. - Thailand have reached the knockout stages of the Asian Cup for just the second time, with their previous appearance coming in their 1972 tournament in which they hosted, finishing in third place. - China have made it through to the knockout stages in back to back Asian Cup tournaments – this will be their ninth appearance in the knockout stages of the competition while only Iran (12) and Korea Republic (10) have made it through to this stage on more occasions. - Thailand have won just two of their 23 matches at the Asian Cup since their debut in the competition back in 1972 (W2 D9 L12), a 2-0 victory against Oman during the 2007 group stages and a 1-0 win against Bahrain on MD2 at this year's Asian Cup. - China's Zhang Linpeng was the only outfield player in their squad to play every minute of the 2019 Asian Cup group stages.